BrettBob's Back Porch: "Down By The Seaside"
When you grow up with 2 older brothers in the 1980s, you are going to hear a lot of Led Zeppelin. Regardless, Zep was always on the radio even when the Classic Rock station wasn't getting "THE LED OUT". Even those who don't listen to a lot of 1970s rock 'n roll are still going to hear a fair share of Led Zeppelin in their lifetime - Zep's music is still everywhere. That's probably why I only listen to them in spurts these days. There are some great bands that I just have to take an extended break from - even favorites like The Beatles and David Byrne have to stay on the shelf for periods so I can appreciate them on a future fresh listen. Led Zeppelin is in that category - I probably haven't heard "Stairway to Heaven" in over a decade. 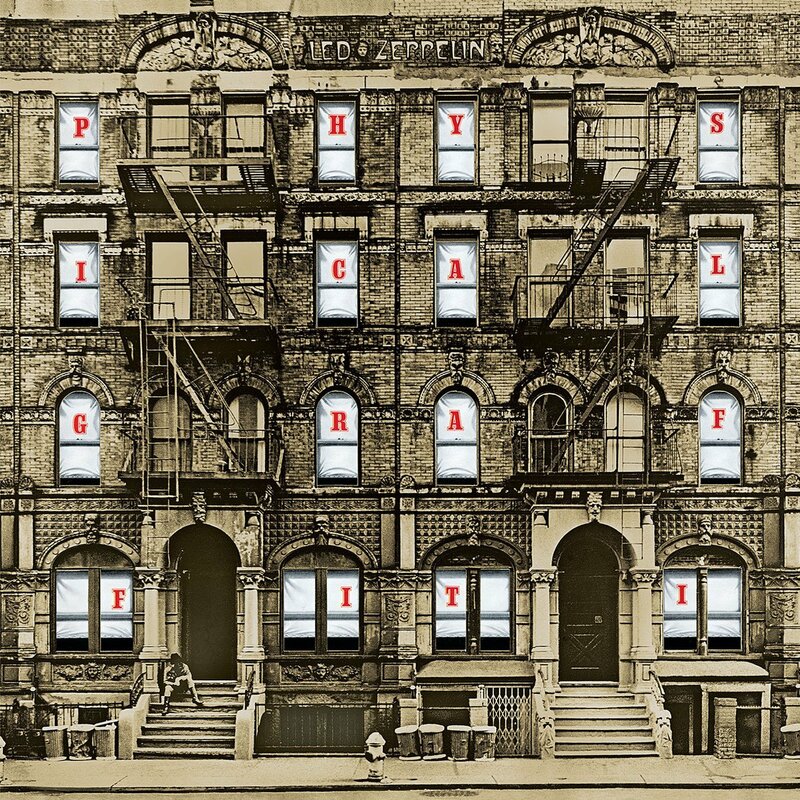 One song I never tire of is Physical Graffiti's "Down By The Seaside". It was written by Robert Plant & Jimmy Page and recorded during the IV sessions, however, there wasn't enough room on the LP for it so it sat on the shelf for a few years. Some bands have such creative peaks that they can't fit everything on their next record due to the constraints of an LP side. 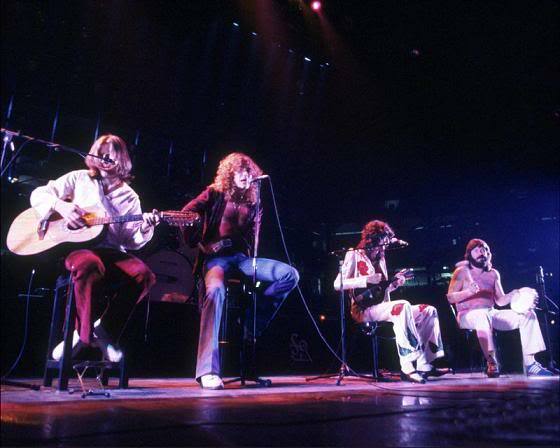 Led Zeppelin released their first four albums over a 3 year period (1969-71), and aside from "Hey Hey What Can I Do?" as an exclusive B-side single, the popularity of the album format meant extra songs stayed on the shelf. 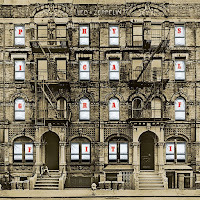 When recording sessions for 1975's Physical Graffiti were so successful it meant the band would exceed the maximum run time for 2 sides of an LP, it afforded them the opportunity to include previous songs that hadn't made the cut to fill the second LP. "Down By The Seaside" was never performed live by Led Zeppelin, but it did make a bit of a comeback in the mid-1990s when it was rearranged with a more ethereal vibe by Robert Plant and Tori Amos for a Zeppelin tribute album. It's easy to see why "Down By The Seaside" didn't make the cut for previous albums - on the surface it's fairly unremarkable except for the novelty of Robert Plant singing about "little fishes". 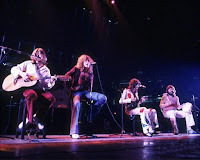 Considering Zeppelin's penchant for hard blues rock and acoustic folk, "Seaside" might have fit better on Houses of the Holy alongside lighter songs like "The Ocean", "Over the Hills & Far Away", and "Dy'maker" - then again, it might have seemed redundant next to those tunes. John Paul Jones' breezy keyboards are what drew me to to the song. It's a deceptively tough vibe to get without those keys, which I tried to adapt to dobro. You never want "laid back" to become slow and muddy, and sometimes less is more difficult to pull of than more.